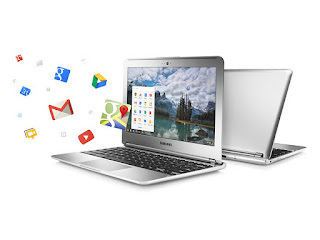 Peter Bryer: Mobile Foresight: Google's $249 Chromebook. Is this the new screen of death for Microsoft? Is MS about to be Wanged? Google's $249 Chromebook. Is this the new screen of death for Microsoft? Is MS about to be Wanged? I've had the opportunity to use Google's made-by-Samsung $249 Chromebook for a week now. It's sleek and it's neat. It's instant on, instant off, and it's in demand. As one of the best-selling laptops, it's time to wonder if Google isn't on its way to establish Chrome OS as the Android of PC world. If such a shift seems unlikely given Windows' two-decade legacy, please take a peek at the next generation of white-collar workers. They are trained in the ways of Google Docs, think net before local, and have no loyalty to the platforms of their parents. Chrome OS could really be the next generation for the next generation. Being in the center of such industry shifts is never fun. For most such unfortunate companies, it's a deer-in-the-headlights moment. Just ask the talented employees at Wang Laboratories. Wang who? Wang was hot property in its day making dedicated word processors and minicomputers competing against companies such as IBM and DEC (who?). But as the adoption of personal computers squeezed their markets, the company found itself in a painful downward spiral. I remember well the formation of the Open Handset Alliance and the introduction of Android. It all started so innocently. But even the journey to a billion units starts with a single device. Google's Chrome OS is here to stay and we will soon begin to see it take some real market share. As we slowly march towards an HTML5 world, Chromebooks and Chromeboxes could be just what the doctor ordered. And for Microsoft? Well, the future of Microsoft's Windows is looking cloudy. Is this Microsoft's new screen of death? 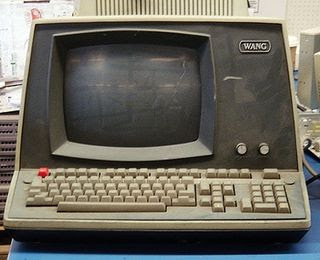 A Wang dedicated word processor. A market shift to PCs was a process they couldn't handle.